When Hunter returns to his ranch because his father, Wilder Samsa insisted, he doesn’t expect to fall in love. After all it was only yesterday he and his twin brother Devin were chasing deer. He doesn’t even know what love is until he meets Katie, Robert’s younger sister. She introduces him to a world that’s unfamiliar to him. A world of love and its pleasures. That world is one he wants to stay in, but he will be thrust into a realm of danger he has never known. Hunter’s only thought is to survive, and return to the love of his life. But will Katie wait for him? 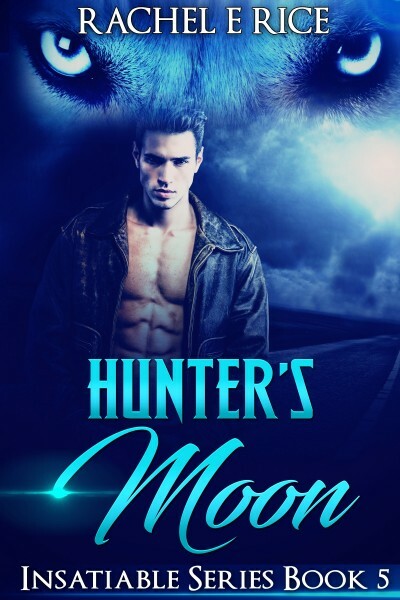 Hunter will learn that time and circumstances have changed him, and he’s no longer the same werewolf. The moon is full and his desire is insatiable. This is part five of the Insatiable series: Hunter’s Moon.